There’s a logical fallacy taking place in the world today, which assumes that the only opinions worth listening to are the ones you’re willing to fight for. While I’ll grant you that there is such a thing as righteous conflict, it happens much more rarely than people realize. I know I tell sci-fi stories but I think I want to take today’s blog post to talk about something else. Watching Corey Feldman on the Today Show, I can think of no better reason as to why I have no interest in being famous for writing. Some folks have told me that I have to ‘get my name out there,’ in order to make a career out of writing. I feel bad for the guy. Corey Feldman is building his life all over again. If you’ve never had to pivot your entire life before, it’s hard to understand what a confusing and dehumanizing process that can be. Worse, yet … he’s doing it in the public eye. All of his false starts, faux pas and stumbles are there for public consumption. To be honest, I fear for the guy’s safety, success and sobriety. Ran across this on Reddit and wanted to share. Every author faces potential backlash when they discuss controversial subjects and rarely do you find an authentic story that does not have some sort of controversy. I’m not planning to play Mafia III, but I do plan on using this as a template to handle any potentially wounded sensibilities. I’m passing it along because you, as a writer, might find it useful, too. P.S. 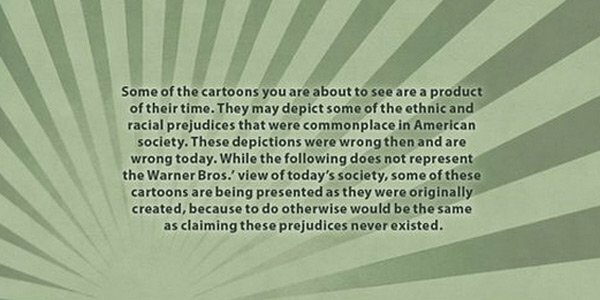 – It turns out Warner Brothers did something similar with Tom & Jerry.